This was the first product that Pertec Computer Corporation built after aquiring MITS in May of 1977. 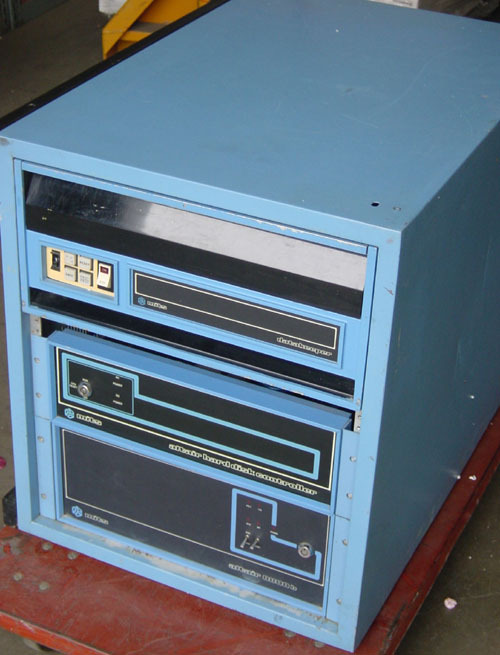 This system integrates the MITS Altair 8800b computer with hard drive controller and the datakeeper storage system. Ed Roberts, founder of MITS, left the company and resumed his medical school education at Mercer School of Medicine in Georgia. This system had a short life cycle. Pertec purchased MITS to go into the "Business Systems" marketplace. This system was an attempt at an "All Blue" professional package. The system pictured here is the computer part of a system that included a desk. This system probably ran Peachtree Accounting Software and MTX, a multi-user BASIC program that was non-Microsoft, also used by MAI Basic Four. This system was prone to overheating problems. This computer is now in a new museum and not part of our collection.